We are sorry for the loss of a loved one. Napa Limousine is here to serve you with professional limousine service when it’s needed the most. 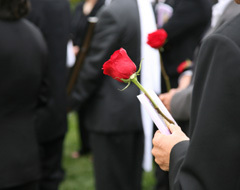 Our professional chauffeur will be waiting for you ahead of time for smooth Funeral Ceremony. You can trust our expertise to take care of your family’s transportation needs with respect.